This is a bit different than the initial list of games I had seen, but still far from a disappointing turnout. The titles on display was sweetened even more so when a couple people from Capcom came by just minutes before the event started to deliver the most recent build of Street Fighter II: Hyper Fighting. Anyway, the event was great and I was really glad to meet some people I had only corresponded with on e-mail, or occasionally on the phone. Of course, as I had mentioned before, I was also looking forward to meeting Splincir and ludcrouspeed again. I spent a while, probably far too long, talking to TekunoRobby and Vark from GAF there too. They will not have heard the last from me, that’s for sure! The next morning (at 6:30 AM no less) I hopped into a car with some coworkers and Peter Moore to bring him to a breakfast we were hosting in San Jose with guys from Joystiq, GamingSteve, Kotaku, Gizmodo and GamerAndy. This was the first time I met most of these guys, as working with bloggers is someone else’s area at work. I think the breakfast went well and lots of interesting things were discussed, but I’ll let the bloggers at the table post or podcast about it. One of the guys I work with, John Porcaro, posted pictures of the breakfast at Gamerscore Blog, the Xbox marketing team blog. Mere hours after the breakfast was over, I was on a plane headed back to Seattle ending my whirlwind two city tour. Here are some links to posts or podcasts from the guys who went to the breakfast. Later today I’ll be flying heading down to San Francisco for a work event that’s part of the Game Developers Conference (GDC) that runs this week in San Jose. The event that we’re hosting together with Microsoft will be in San Francisco tonight and it’s titled as a “Showcase” event. 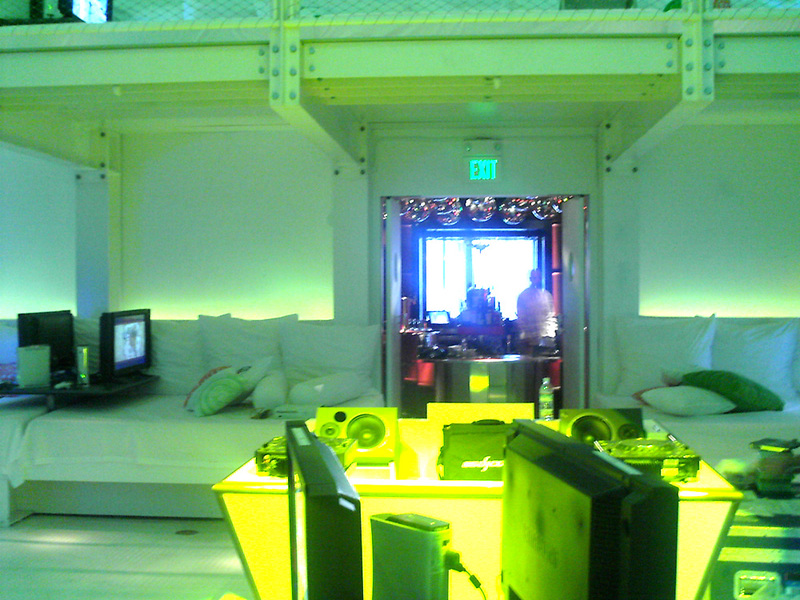 Back in early October 2005 we had a similar set of events, one in New York and one in San Francisco, which allowed us to put a bunch of people in one room, give them the rundown on the new Xbox Live and the Dashboard and set them loose to play a good number of games on preview. This event is something pretty similar, in fact the New York component of the event happened late last week already. I’m looking forward to it as I’ll get to meet a few editors and writers of websites I haven’t met in person yet, a couple people from GAF (TekunoRobby and Chittagong) and a couple people I’ve met before from the TeamXbox and GameSpot forums (ludcrouspeed and Splincr). Frankly, it’s nice to put a face to someone I’ve talked to online for a while now. Either way, the event will probably be pretty fun, meeting people and getting to play some preview games — especially if the list of anticipated preview builds I saw late last month turns out to be accurate. As always, I’ll be taking pictures both for work and personal purposes, so I’ll put some up on here when I get a chance. Also, I should be able to drop by the EB Games by my work to pick up Me & My Katamari and The Elder Scrolls IV: Oblivion this morning before I head to the airport. Oblivion will have to wait, but I’ll have some Katamari fun if I manage to stay awake on the plane. Before leaving for the airport to San Francisco this morning I dropped by the EB Games near the office like I said I would. They weren’t expecting to get Oblivion in until after 3:00 PM today, so that was a downer. Then I found out that I should have paid more attention to release dates because I was jumping the gun on Me & My Katamari as well. I gets released today, meaning it ships today and the stores won’t see it until tomorrow at least. So instead of having something to do on the flight that I was looking forward to, I just napped and read some things I needed to read for the event I am here for. There is a little bit of extra time tomorrow before I get back on a plane to Seattle, so I hope I can find a game store convenient enough to pick up at least Me & My Katamari for the flight back. Off to get some food and then that showcase event tonight. I’ll try to update later tonight. 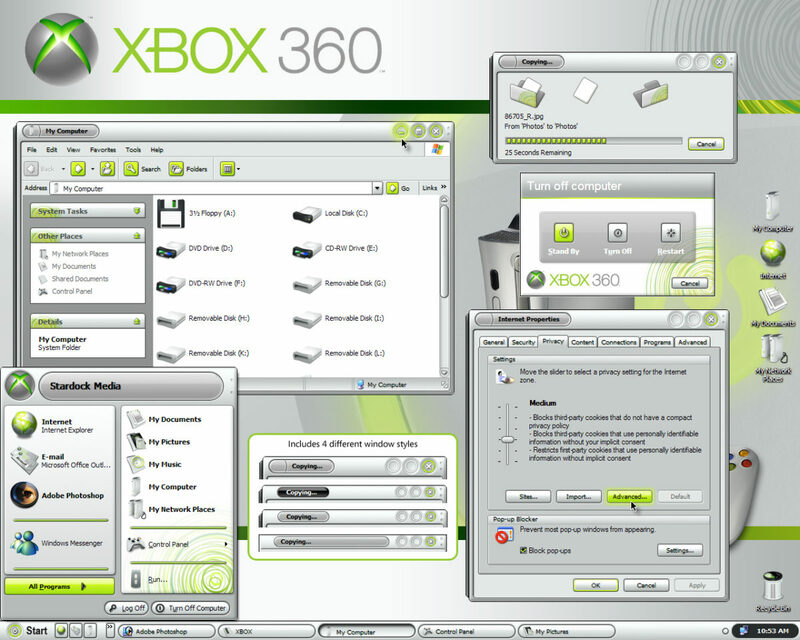 Major Nelson was the one to push me to install his Xbox 360 theme for Windows-based Smartphones, way back before I was working on their behalf. So it piqued my interest to read MajorNelson.com today and see a post about a Xbox 360 theme for Windows. “Theme” is putting it nicely, this thing reskins all your window bars, buttons, start bar, icons and everything to have a wholly Xbox 360 look and feel. I’ve never even looked into this as the limit of my OS customization has rarely been beyond changing out the desktop background. This looks pretty cool, not sure if I’m going to go with it myself since I don’t feel like installing the WindowBlinds right now just to give it a spin. Maybe I will once I’m more committed to the theme. Somebody should do one that’s a bit more reminiscent of the blades in the Xbox Dashboard, I would like that. That might push me over into the, I’ll-buy-this-software-and-try-out-the-theme line. So how ’bout it? Thanks again to another GAF thread, I have the bug to go play pinball. I can’t remember the first time I played pinball, but it was well after I’d already started playing video games. I probably didn’t get around to it until I was well into middle school at the earliest. 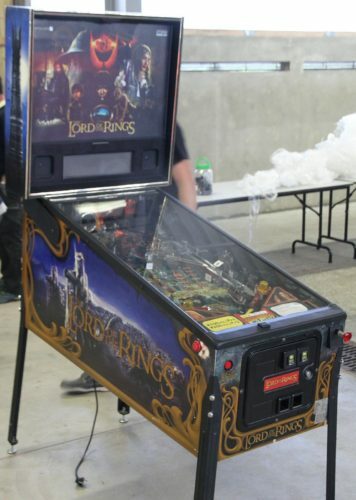 It’s funny how I can remember the very first video game I played, but not my first pinball machine. It is entirely possible my first pinball game was the “3D Pinball” that came with Microsoft Plus! for Windows 95. Yet I still have fond feelings for pinball, just as much as for video games. 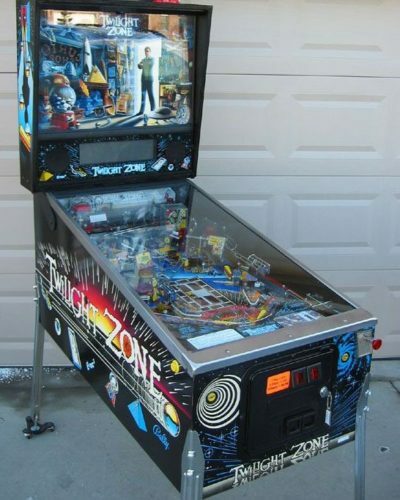 While I was trying to think back to my early pinball machines, I remember playing a Terminator 2: Judgment Day machine at a pizza joint back in my hometown. I know I also played the Indiana Jones game at a hot dog stand in the Chicago suburbs and I couldn’t get enough of the “See you later, Indiana Jones!” sample when you lost a ball. 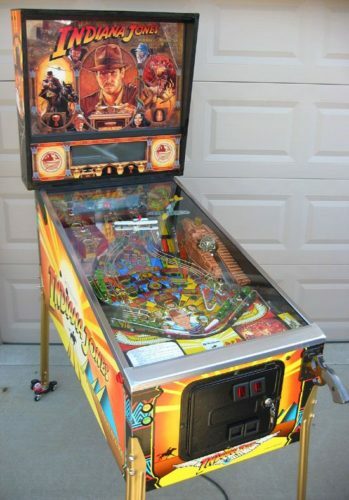 Then it was a Jurassic Park machine at GenCon back when it used to be in Milwaukee, Wisconsin. After that I started playing way too many of them wherever I could find them. 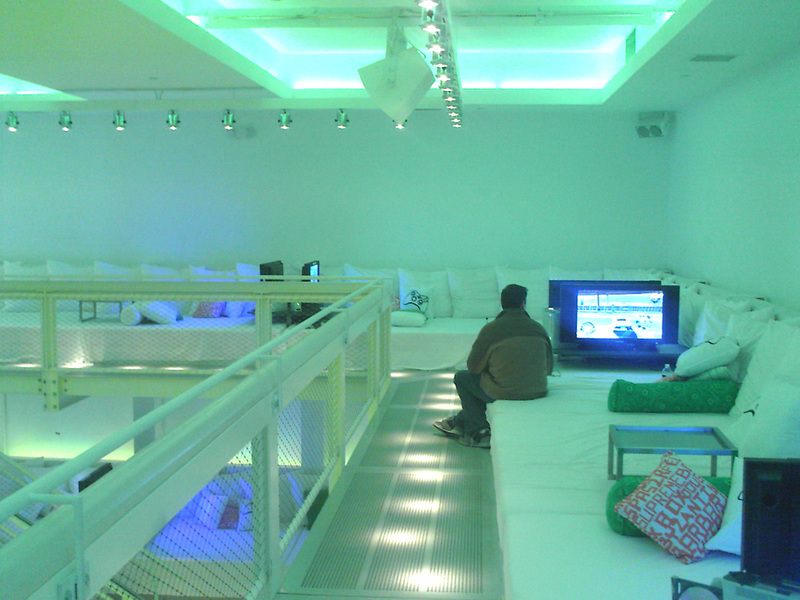 The game room in my dorm building in college rotated White Water and The Addams Family every quarter or so and I was frequently down there taking a break or taking out frustrations from studying when I wasn’t doing the same on the Virtua Fighter cabinet. This was the start of how I’d be sure to play most pinball games I came across if I could wherever I was, although I can’t say that I’ve specifically went out thinking, “I need to find a pinball machine and play it.” There used to be an arcade at Chicago’s North Pier building (near the super-touristy Navy Pier) that had an arcade that I went to because it was across hall from the Virtual World BattleTech Center there. Which, if I can digress for a second, I was totally obsessed with at that time too. 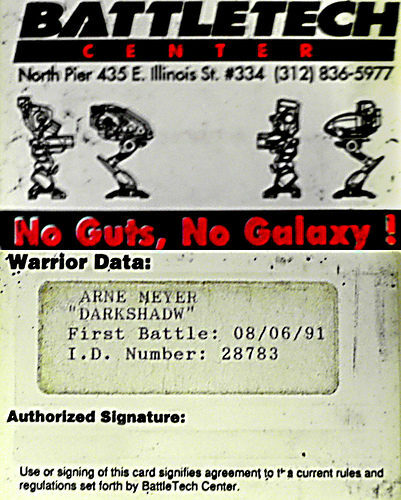 I was an early member (first battle: 08/06/91) and still have my card to prove it. 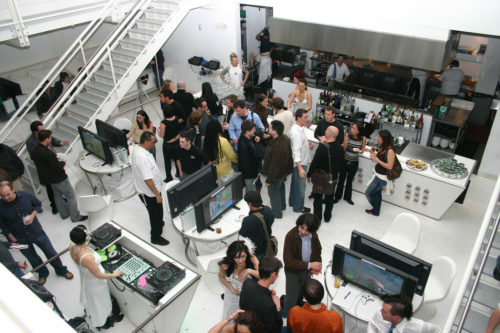 I only remember playing The Shadow table there, although they had at least five tables set up on one of the space the arcade had. Those times have been the only times I’ve played pinball in an arcade to date. Kind of sad almost. Once I was of age and had the motivation to go to bars, I would always take a couple plays at whatever machine they had, if they had one, and most of the bars I ended up going to had them. It was from going to bars that I got to play Twilight Zone at a bar in Saint Louis and Dr. Who at Club Foot, a bar by my apartment in Chicago. Both are among my favorites, although I haven’t had a chance to play Twilight Zone recently. Now when I think about it, I really haven’t played any other pinball machines since I started frequenting Club Foot, which I have now stopped frequenting since I moved away to Seattle and no longer live 3 blocks from there. Which is kind of sad but not really. But it doesn’t solve the fact I still really want to go play pinball and I am in an unfamiliar city with unfamiliar places. 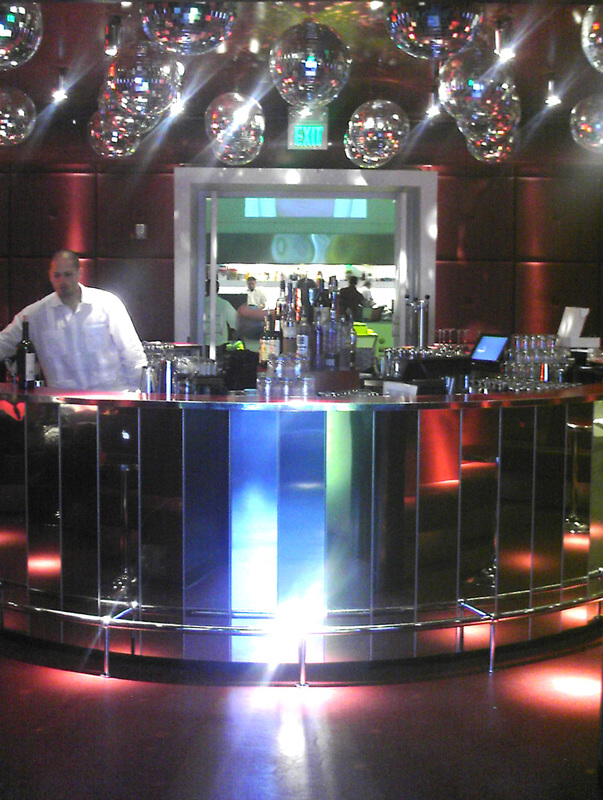 Of course I could start walking into bars to find one, but that’s obviously not the way to go about it. Their retro arcade cabinets aren’t too shabby either although I could just as easily play Joust or Robotron at home on XBLA, so I’d stick with Galaga or Donkey Kong. Once I get to go and grab one of their Vegi Dogs and hit a few pinball games, I’ll be sure to report back on how it felt to be go nudging the tables again. I can’t wait for the Lord of the Rings or some of the super retro tables. I’m also looking forward to Medieval Madness, a lot of people on GAF spoke highly of it and it’s even due to be re-released.